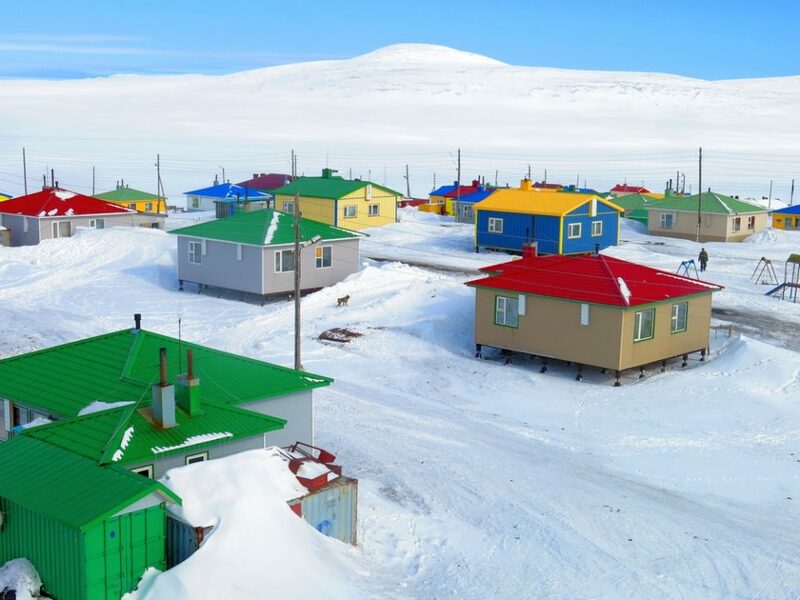 The tiny Siberian town of Ust-Yansk counters the pervasive whiteness of long & snowy winters by cladding its buildings in a rainbow of contrasting colors. 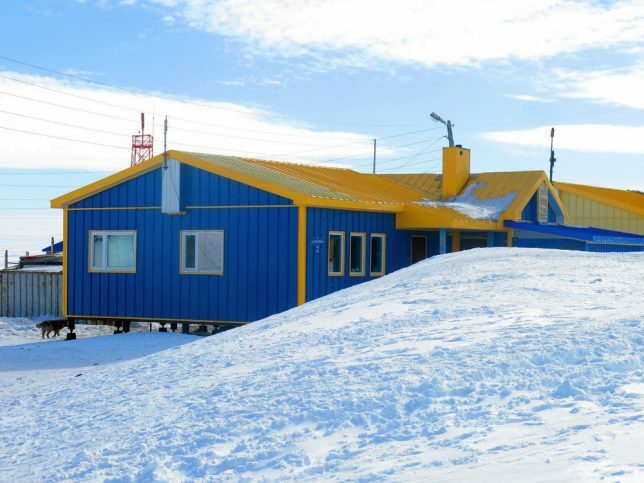 To say Ust-Yansk is isolated is an understatement: the nearest sizable town (Deputatsky, pop. 2,983) lies 302 miles (486 kilometers) to the southeast. Ust-Yansk itself boasts a population of just 317 (as of 2010, down from 341 in 2002). 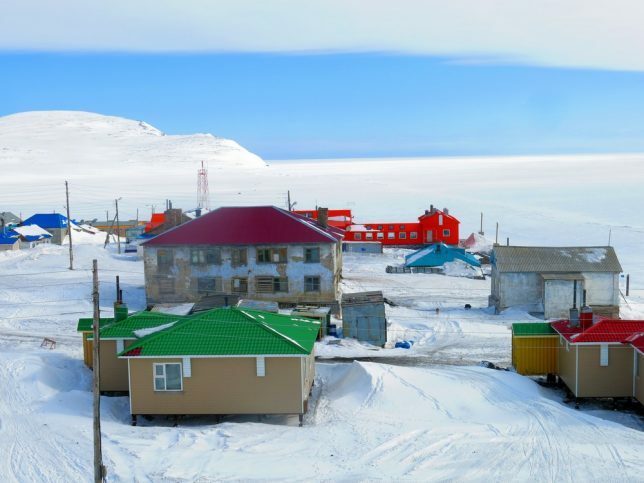 Both towns are located in Russia’s Sakha Republic, a sprawling Siberian territory slightly smaller than India but with just a thousandth of the latter’s population. The photo above shows Ust-Yansk from the distance of about 1 kilometer or about 6/10th of a mile. Never a wealthy locality, Ust-Yansk fell on hard(er) times in the 1990s when the fall of communism left Russia’s backwater districts pretty much to their own devices. 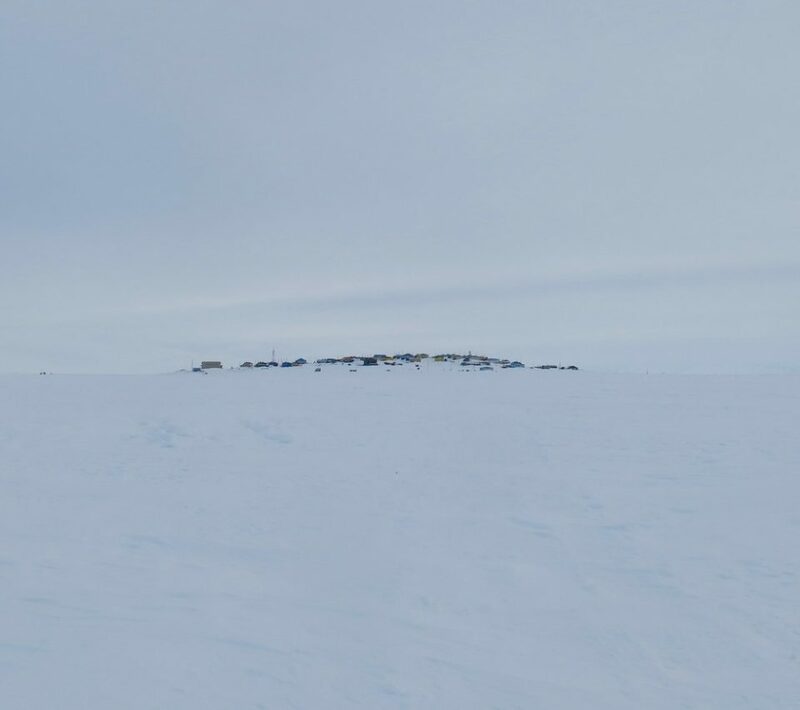 In Ust-Yansk’s case, those devices consisted mainly of mining, reindeer herding and fishing – activities requiring decent weather to function to their potential. 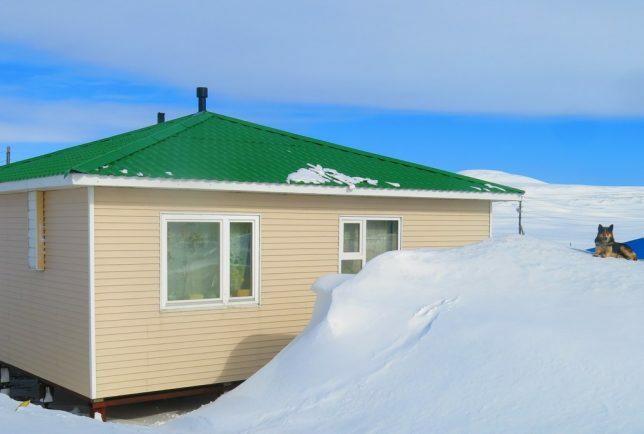 Being that Ust-Yansk lies deep in northern Siberia, the weather is usually anything BUT decent. To quote the Wikipedia entry on Deputatsky, “Winters are prolonged and bitterly cold, with up to seven months of sub-zero high temperatures.” Nice. 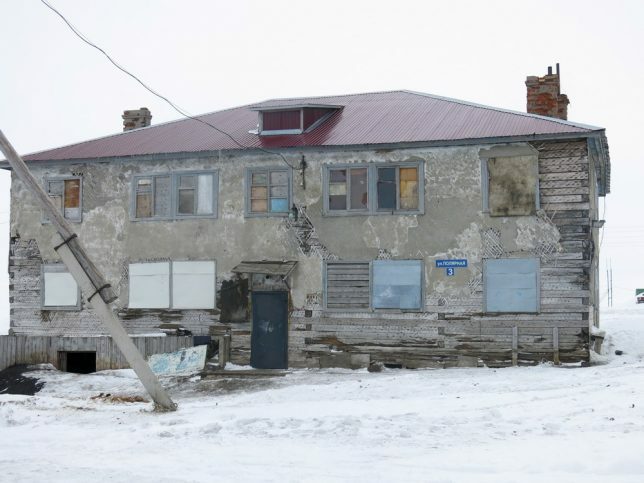 The unrestored buildings above, photographed by blogger BASOV-CHUKOTKA, look about as miserable as their inhabitants must have felt. 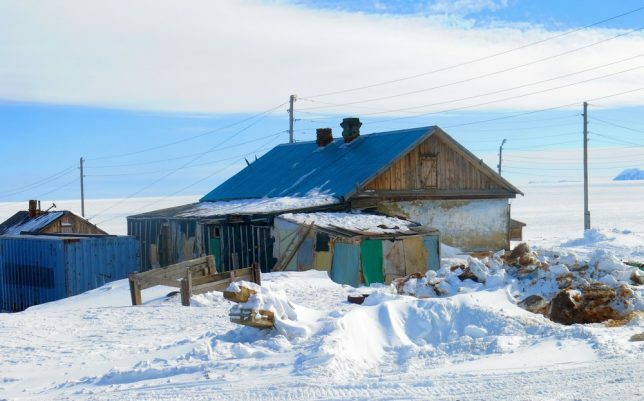 Snow falls early and often in Ust-Yansk, and when it falls it stays – like most tundra towns built on the permafrost, Ust-Yansk’s buildings rest on stilts to prevent heat from melting the frozen ground beneath. This type of construction can be expensive, however, but after the turn of the century rising oil prices flooded Russia’s coffers with bright, shiny rubles and towns like Ust-Yansk began to reap the benefits. New construction and renovation transformed Ust-Yansk into a more livable town but what really stands out in these photographs taken in May of 2017 are the wealth of colors! 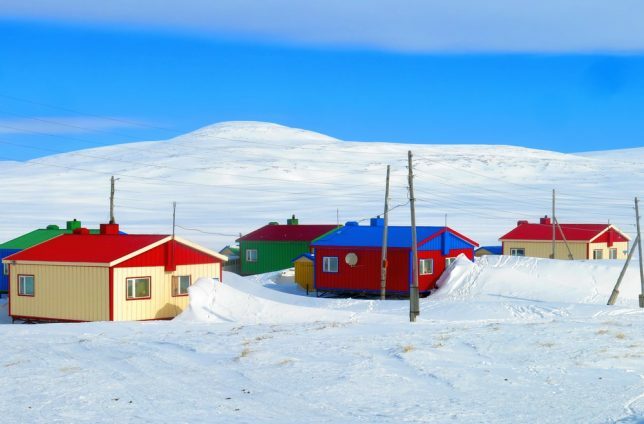 From rich primary hues to more delicate pastel tints, Ust-Yansk brilliantly refutes the popular image of Siberia as a dreary place fit only for marginalized indigenous tribes and prisoners of the soviet Gulag. Well, it’s a start at least.